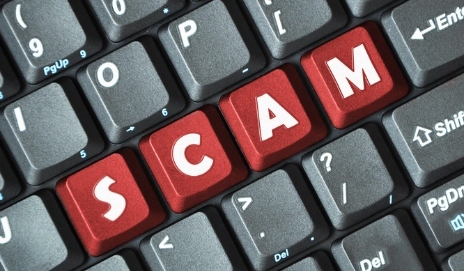 Has the ‘Microsoft technical support’ phone scam evolved? Is it now the ‘BT technical support’ scam? We’ve heard from people who’ve been called… and we want to see whether there are more of you out there. Remember the Microsoft support scam? It starts with a nuisance call, but can end with your PC being compromised and a dent in your bank account. An unsolicited caller claims to be working for Microsoft’s support team, they ask to remotely access your PC, they ‘prove’ that your computer’s infected with viruses, and they offer to fix it for a fee. The thing is, they’re not from Microsoft and your computer may be virus free. And even if your PC was infected, you could get it in ship shape condition with free antivirus software. Hundreds of you have told us that you’ve been subject to this scam. Microsoft’s own survey found that one in five people in the UK have been called by one of these scam callers. Of those who fell victim to the scam, the average amount lost was £745. We’ve now received reports that the scam has changed, or at least that it’s evolved to be a call from ‘BT’s support team’. One Which? member told us he thought he was speaking to someone from BT – he was then tricked into paying the best part of £400 to remove viruses from his PC. Our Twitter follower Brian experienced something similar. He was called by someone claiming to work for BT’s Wi-Fi team. They told him there were problems with the broadband connection in his area and that they needed remote access to his computer to fix it. This took control away from Brian, his computer shut down and now he can’t start it up. So we want to hear from you – have you been called by someone claiming to be from BT’s support team? Did they remotely access your computer? Share your experiences in the comments below. Oh, and some advice for you if you’re called by one of these scammers, whether they purport to be from BT, Microsoft or another company. A caller does not know whether your PC is infected with viruses. Do not ever let a caller remotely access your PC – this hands them the keys to your personal data. And never hand over your bank details to an unsolicited caller. If you think you’ve been a victim, run a virus scan, alert your bank and contact Action Fraud to report the scam. One final thing you can do to help call time on scams is sign our stop nuisance calls peitition. Just had a call from “Peter Wilson – says his id was BT800” At least 3 different people on the call. Female front end, then to tech support and Peter. BT Engineer in area – your IP address is public. Your system is compromised. Had me try validating logons and had pages of HTMLE error and warning codes – email and amazon, then wanted me to log into my bank account (online banking). When I said no, want to check on the babble he was telling me, he put me through to his “supervisor” and when I still said no, he finally hung up. Pretty sure this is a scam – but very professional and very convincing.